This page is part of a series on . You can find all these posts by following the “WordPress Plugins” category. I have submitted this plugin. You can see an update view of its appearance on this post, along with a temporary download link. This page describes the new WordPress plugin I’m working on. When it is finished, you can download it from a message block like this one. I may delete this page once the plugin gets in the WordPress plugin repository. Working on another #WordPress #plugin. Just because…. This plugin is still in development. Do not use on production sites. 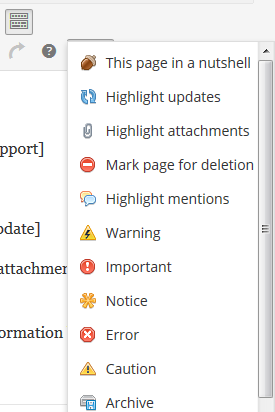 I don’t know if I like red for “Important”. Your feedback is welcome. Here is something you should notice. This plugin is still in beta, and should only be used on development sites. Much of the information on this page is either deprecated or obsolete. It is being maintained solely for historical reference. I’ll write a longer tutorial eventually. Actually, I’d like for that icon to create a popup, which asks you to input the title, and then sends the whole thing to WordPress. If I can get that to work, I may add it to the other shortcodes, and I will definitely add it to my MLA Citations plugin. And that “This page is part of a series on .“—I fixed that.